We have compiled a list of 5 unique ideas to include little coffee pick-me-ups in your wedding. One of our first ever weddings! For this wedding in rural Leicestershire we arrived before the guests had emerged from their tents after having partied the night away in a marquee. There was lots of love for our coffee that morning and we were a wonderful sight for some very sore eyes. That time reminiscing about the night before is special. Do plan a low-key gathering the next morning with your mates where they can fill you in on all the wedding shenanigans that happened and carry on the love and laughs for another few hours. Espresso martinis will keep your guests fuelled and dancing to the wee hours. This wedding in Yorkshire was blessed with gorgeous weather and the guests made the most of the warmth. Coffee and coffee cocktails are still on trend and including both gives your guests different options. Including barista coffee and coffee cocktails is wonderful way to make the transition from dinner to evening reception. Unconventional dessert options at this stage can be another way of expressing your personality as a couple. Doughnuts, macarons, brownies, shortbread are all wonderful little sweets that go beautifully with a cup of good strong coffee. 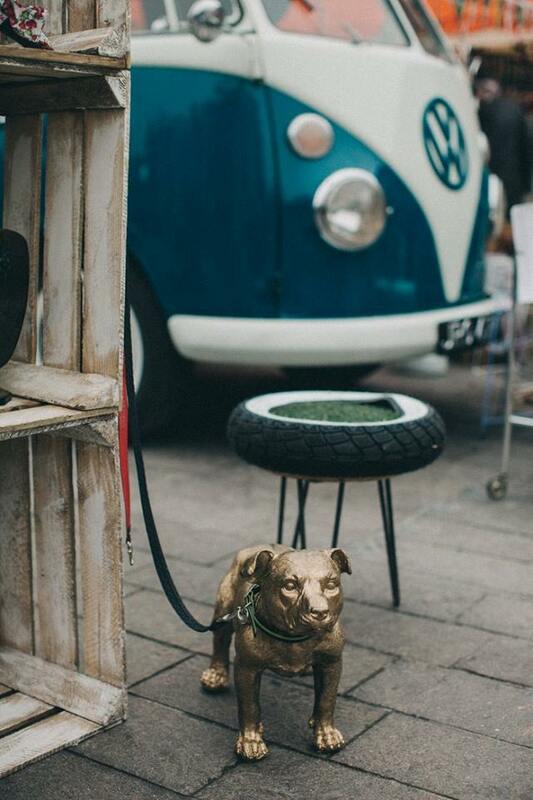 A beautifully decorated coffee station that can include professional baristas, personalised coffee blend from a local roasting house and cups to suit the style of your wedding giving your guests a unique coffee experience that maybe hints at your own love of coffee or the place you met. 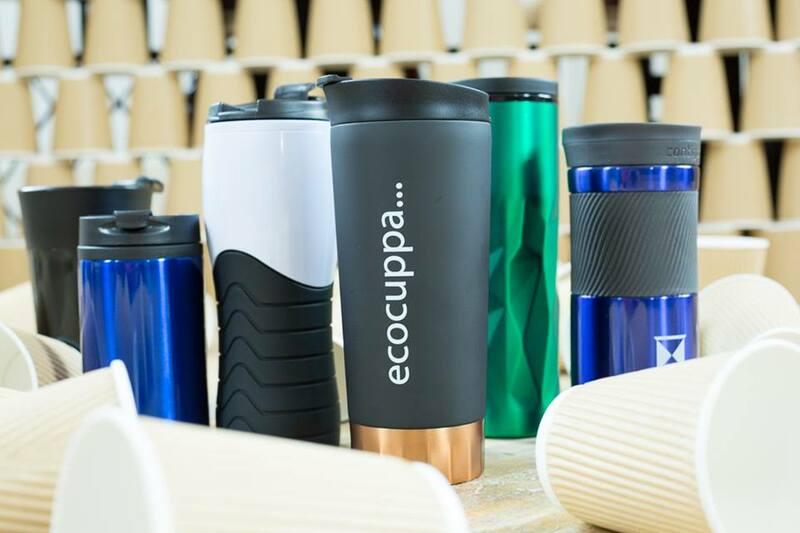 Giving away reusable coffee cups or personalised mugs is a fantastic idea as wedding favours showing concern for the environment support for local small coffee businesses. We love KeepCupsbecause they have glass alternatives and wonderful selection of colours and sizes to suit most tastes. A customised coffee blend from your favourite local roasting house in packaging of your own design is also another wonderful idea that can add a personal touch to your special day. I believe we are all inter-connected. What happens to you, affects me and what happens to the earth impacts all of our wellbeing. To me this now seems undeniable. So, in the spirit of trying to reduce the impact of my coffee habit and in the hopes that others are looking to do the same I have decided to dedicate this month’s blog post to tips I have found that help me to reduce it’s impact. If you have anything you could add I would love to hear it as this is, most certainly, a mission of discovery. 1.Cutting back. What??!! Yes! Drink less coffee but enjoy it more. Really take the time to sit and enjoy it without having to get it down as part of some unconscious habit. 2. More coffee at home. I realise that so far these tips are not very glamorous but I have found a new love of coffee with some new brewing methods I have bought for my house. As I mentioned in my September blog post, I adore my Aeropress. It makes a simple yet beautiful cup of coffee. And who can deny the elegant beauty of a French Press? You can’t rush it. The falling grinds, the gentle pressure… wonderful. 3. Shop local and shop small. Stewarts of Trent Bridge have a new, stunning Columbian bean with rich aromas of chocolate, roasted right here in Nottingham. It is a wonderful example of a small business using micro lots with goals around traceability and transparency. 4. Bring your own reusable for takeaways. 5. Compost your used grinds. And there we have it, my 5 simple tips to a greener coffee habit. It is also worth mentioning that at The Split Screen HQ we are doing are best to make sure the coffee you receive from us is following these same principals and we continue to look for new ways to reduce our business waste and increase the bean transparency. Our friends at Nottingham’s Zero Waste Collective are always giving us top tips in the world of packaging, we have now ditched 1 kg coffee bags and have a reusable bucket we fill at our local roasters, Stewarts of Trent Bridge. We continue to be part of the countywide Eccocuppa initiative giving you all a whopping 50p off any hot drink when you use a reusable and we keep composting our used grinds in our own allotment or with our fellow trader Primary Gardens. But we are ALWAYS looking for more ways to educate ourselves and welcome any tips you may like to add. Do comment or let me know via social media. It doesn’t take much research or watching of the news to realise there is a change afoot. People are wanting to know where their products are coming from and they want to know the people they are buying from. Businesses with a good knack for interacting with their customers on social media or in more traditional methods seem to be making gains in ways that larger, more austere and rigid companies are not. Flexibility and a human face seems to be what is generating the most interest and excitement. I find this an excellent prospect as a consumer and as a small business owner. Knowing the makers is wonderful. With all this in mind I have decided to make a change in my coffee supplier. For those of you who know us, we have been with 200 degrees for the past 3 years and have nothing but praise and admiration for them. They have always been hugely supportive of what we do and I will miss the people and service they offer (not to mention their wonderful coffee). But, in the spirit of keeping things small and being able to walk into the roasting house whenever I want to (I love being able to go into the roastery and have a nosy) I have decided to start a new coffee relationship with the lovely people at Stewarts of Trent Bridge. Stewarts is named after Nottingham’s coffee visionary Stewart Falconer, who hand roasting coffee in the 80’s, before the word “artisan” even existed. They are still using the original roaster he bought for the job all those years ago which is a joy to watch – easily done by peering through the glass windows of Sneinton Market. So far we have had a lot of love for our coffee and I hope this continues. We still feel there is no excuse for bad coffee anywhere anymore. I bought an Aeropress and I love it. If you are thinking of trying out this new (i.e. not ancient) brewing method here are the positives and a few, slight, minor, negatives. you can only brew 1 (maybe 2 cups) at a time. We're reducing our plastic and luxury hot chocolate recipe for rainy (where the hell is spring?!) days. 50p off all hot drinks! The Split Screen is going green. Having not yet completely lost hope in humanity’s ability to make the world a better place and finding inspiration from Blue Planet 2, the most watched TV programme in 2017, we made a little silent pledge to use less plastic. 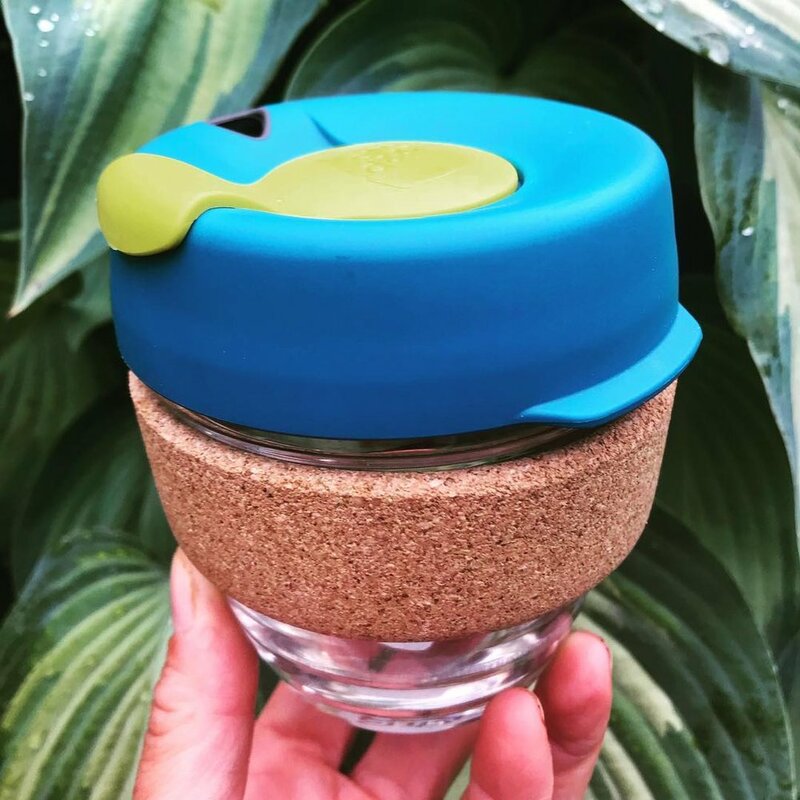 We have always offered a 50p discount to anyone who has brought us a reusable mug but we are now teaming up with other cafes in and around Nottinghamshire in the hopes of building up a movement away from disposable cups. Visit http://www.ecocuppa.org.uk to check out all the participating cafes. Spring and the warming sunshine are taking their time this year so we are having to find an alternative heat source. Our hot chocolate sauce is going down a storm and it couldn’t be easier. All you need is good quality cocoa, sugar, salt, vanilla, water and a spare 10 minutes. Mix 250g unsweetened cocoa with 250g of caster sugar. Add 250ml of cold water and 1/4 tsp of salt and whisk over a medium heat until boiling stirring constantly. Allow to boil for 3-4 mins. Taste and stir in an additional 1/4 tsp of salt of required. Remove from heat and stir in 1 tbsp of vanilla extract. Allow to cool before storing in a sterilised airtight container. Will keep for up to a month.